Do you want your clients to feel cared for, trusting, and eager to do business with you? Of course you do, that’s the point of a CRM - to manage all details about your client interactions. 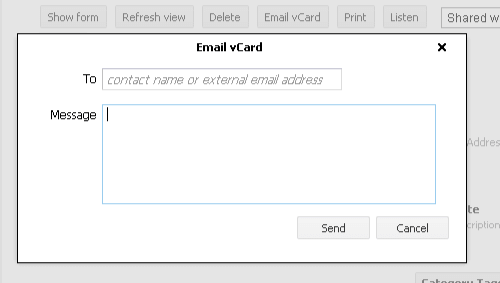 Keeping with this trend, Solve has again ensured greater customization and flexibility with the new “Personalize vCard & Publish emails” option. 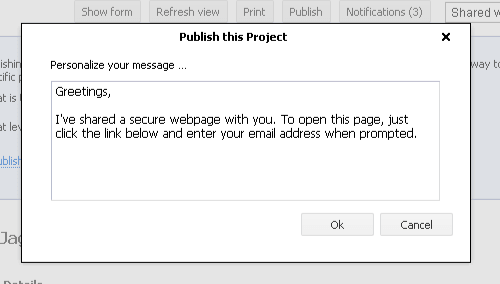 When publishing a project blog, or emailing a vCard, Solve now includes a note option providing a personalized touch to sharing information with clients and partners. 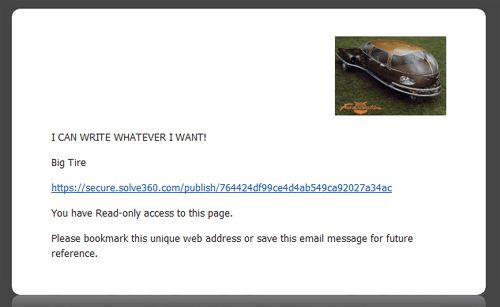 Solve will even autosave your message to be available for your next publishing or vCard email, even if it’s an entirely different contact or project blog. Now that’s handy! By writing your text in another language, “Personalize vCard & Publish emails” lets you explain published blogs and vCards with non-english speaking clients.